The Cloud Factory formed part of the title to my current writing project (very much a work in progress that sometimes feels like wading through treacle). Seems it wanted to be elsewhere. Just like me. Away from the city, the towns, concrete and glass; away from sirens and traffic, angry voices and broken gates. To float along on warm air currents, rising, rising, getting closer to the mountains, before cooling and condensing into great white clouds. Climbing out of drudgery canyon onto the wide plateau, 360° of space in the magic place. The meeting of earth and air, the duality of flesh and spirit made visible. We all have our special place, where the magic brings flesh to thought. It was in this place the first kernels appeared for the novel The Cloud Factory inspired. Let’s hope I can finish it. 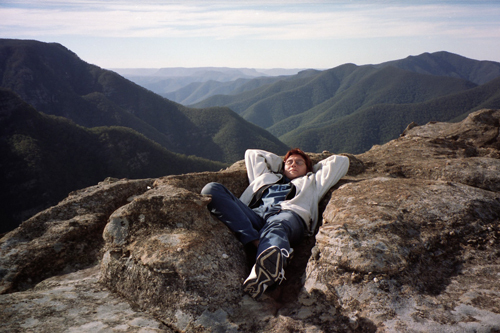 The picture was taken in the Blue Mountains of South East Australia, one very special day in 2002.